Optional split hinged cover for the channel FR6X4OR6. 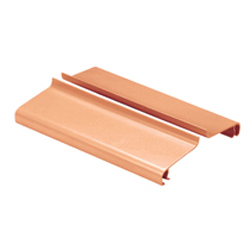 Creates radiused 3/4" (19mm) opening for easy access to add or remove cables. Snap-on hinge feature enables positioning of cover at angles between 30° and 90°.